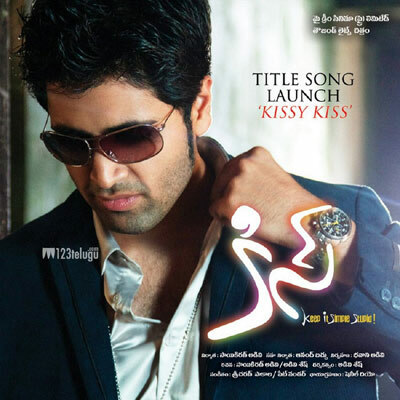 Sesh Adivi, who was last seen as a villain in Panjaa, will soon be seen in an upcoming film titled KISS. The film has a tagline – Keep it Simple Stupid. Sesh himself has directed the film and after Karma, this is his second film as a director. Saikiran Adivi has produced the film. Priya Banerjee is making her debut as an actress. The title track of the film was launched earlier today and the song has become quite popular on the internet. Talking about the film, Sesh said, “The song shows the theme of our film. I have played the role of a simple guy who can face any issue and there’s also a philosophy in the film. The title refers to the heroine in the film and the story is about how her life changes after her first kiss. It’ll be a clean romantic entertainer.” The film’s shooting has been completed and the audio is expected to hit the stands in June. Sricharan has scored the music.